Urban Studies theorist Richard Florida makes a living writing about a group of individuals called the “creative class.” While some of our great American cities have seen precipitous declines in this postindustrial, Florida argues that our country’s still relevant cities have one thing in common—hipsters. If only Detroit, Baltimore and Cleveland could have sold hipsters on the luxury of being in the rustbelt, they too could be like Seattle. Or, even better—Brooklyn. While not quite a fully cohesive group, the black creative class does share some similar traits. Because most of the group has been to college, and a considerable amount grew up in the suburbs, the black creative class fits somewhat neatly into the American definition of middle-class. After school, they generally migrate to a large city where a critical mass of other black creatives can be found. They are weary of essentializing conceptions of race but also discount the idea that we are living in a “post-racial” America. While most do not enter the arts or the entertainment industry directly, popular culture is the lingua franca of the black creative class. If you post an article that is critical of Tyler Perry on your Facebook wall, one of your black creative class friends will probably “like” it (if they did not already post it themselves). If you are not sure if you are talking to a black creative see if they respond positively to any of the following: Stringer Bell, Erykah Badu’s “Evolving” tattoo, The Brief Wondrous Life of Oscar Wao, Hillman College, She’s Gotta Have It, early nineties black fashion, J*Davey, or Jean-Michel Basquiat (patron saint of black creatives). I am hesitant to give undue influence to television changes in our culture but for the black creative class, you cannot get around the fact that we grew up in the golden age of black television. In our childhood years, there was always a wholesome representation of the black middle class on TV. From The Cosby Show and A Different World to The Fresh Prince of Bel-Air and Living Single, we consistently saw black families, black education, and black working professionals in prime time. Of course, these shows were being aired at a moment when the black middle class was increasing but, as a cultural backdrop, I think having these trends reinforced on a weekly basis has been critical for how the black creative class sees the world. Conversely, our adolescence and young adult years have been spent watching, debating (or avoiding) another televised force: Black Entertainment Television. 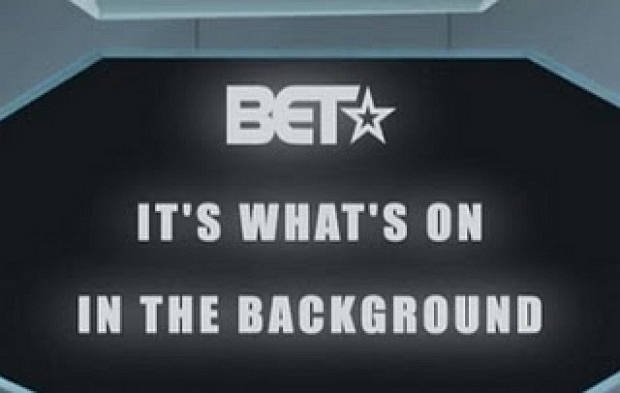 As the golden age of black television waned in the late nineties, BET became a larger figure in our cultural imagination and served as the primary provider of images for black folks in our popular culture. Subsequently, 200 years of African-American progress was lost and Frederick Douglass wept with the ancestors in heaven. While the black creative class has some overlap with hip-hop, we were not actively consuming the culture’s musical productions during its golden era (1986-1994). It was not until the shiny suit era that the burgeoning black creative class engaged in the culture at a critical level; even here, we are walking into a preexisting culture war, with listeners being forced to align with either the substance-free mainstream or the self-seriously grim underground. That is until Kanye showed up. While the underground vs. mainstream divide was always a bit contrived, Kanye was the first individual from the black creative class to really suggest that there was another way to frame hip-hop music. 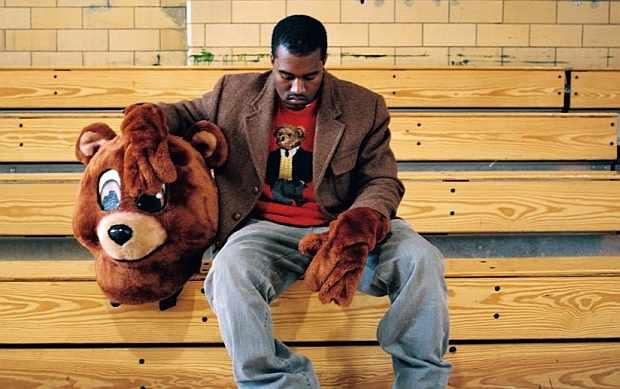 With his debut album The College Dropout, Kanye eschewed dense slang and ornate wordplay for a rap style that was stripped down, if not conversational. Against the backdrop of looped soul samples that would please the fiercest golden-era acolytes, Kanye waxed eloquently on themes that black creative class’ own struggles: college, relationships, family, religion, and balancing materialism with peace of mind. Many in the black creative class encountered his music at some point in college and the meteoric rise of Kanye is in some ways a reflection of their own transition into adulthood. His catalogue mirrors their own desire to enjoy the good life of the American dream while still being keenly aware of how limiting the more material sides of the dream can be. A lot has been written about class in America in the aftermath of the 2008 market crash. While millions of Americans have lost equity in the recent financial collapse, the effects of recession have been especially pronounced on the gains black Americans have made in the post-civil rights era. Looking at just wealth, the national average in the black community has dropped from $5,000 in 2007 to $2100 in 2010. In comparison, the amount of wealth in the average white household in 2007 was $100,000. I point to this data to show the tension between being culturally middle-class and economically middle-class. As a group, the black creative class is more college educated and more cosmopolitan than any group of black folks in our country’s history. In this very unique historical moment, the black creative class seems more ready to push forward on the civil rights dream that our parents and grandparents fought so valiantly to make a reality. But, as a group, we are also painfully unsure about where to go next. This tension can be most readily seen in the ambivalence the black creative class has towards figures like Tyler Perry. Where there will always be space in our culture for folks to produce art that is accessible, if not downright reductive, the black creative class defines itself in opposition to these movements. We want to be in alliance with, if not a part of, a cultural elite that imagines a world that could be. In some ways, this is a vital gesture. The most powerful social movements have always been accompanied by rich turns in our cultural conversations. Great art makes radical statements about society and makes space for new types of productive labor. At the same time, these efforts cannot be in the form of reactive criticism. Simply looking down on portions of the black community by using culture to create social distance will only reify the class distinctions that imprison us all. As the black creative class reaches its maturity, it will have to use its cultural capital to again stretch our larger cultural imagination. In writing about the often unseen struggles that occur in black history, Bernice Johnson Reagon stated, “Waves go out. When they come in there is always a rock-back. It is not the same wave in the same place and the sands have shifted to never again be the same.” We are all part of larger, longer series of interconnected struggles. And, while the fruits of creative labor do not always correlate to immediate change, the sands are slowly shifting. Bland, Robert (2012). 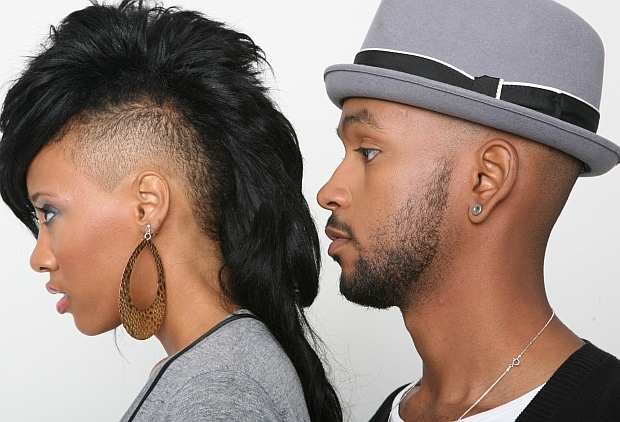 The Rise and Inevitable Liberation of the Black Creative Class. In B. H. Kasoro & K. D. Whittaker (Eds. ), The Last Generation Of Black People. New York: The Liberator Magazine.